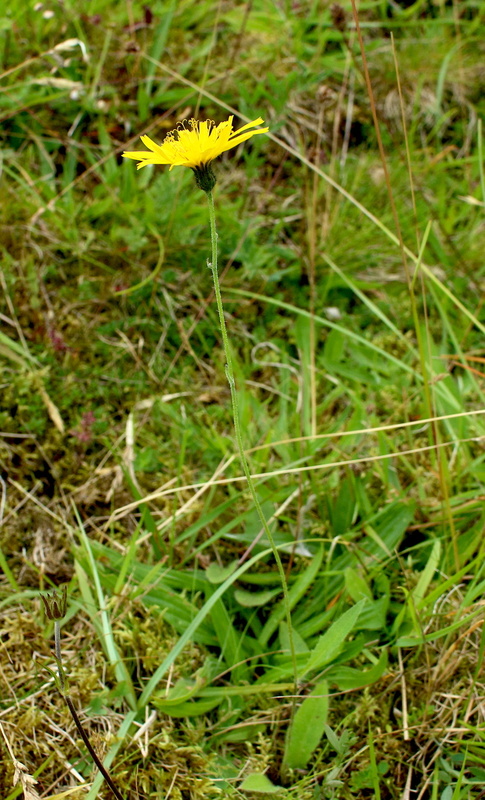 Slender forms of hawkweeds, Hieracium, continue to be taken for Crepis mollis. 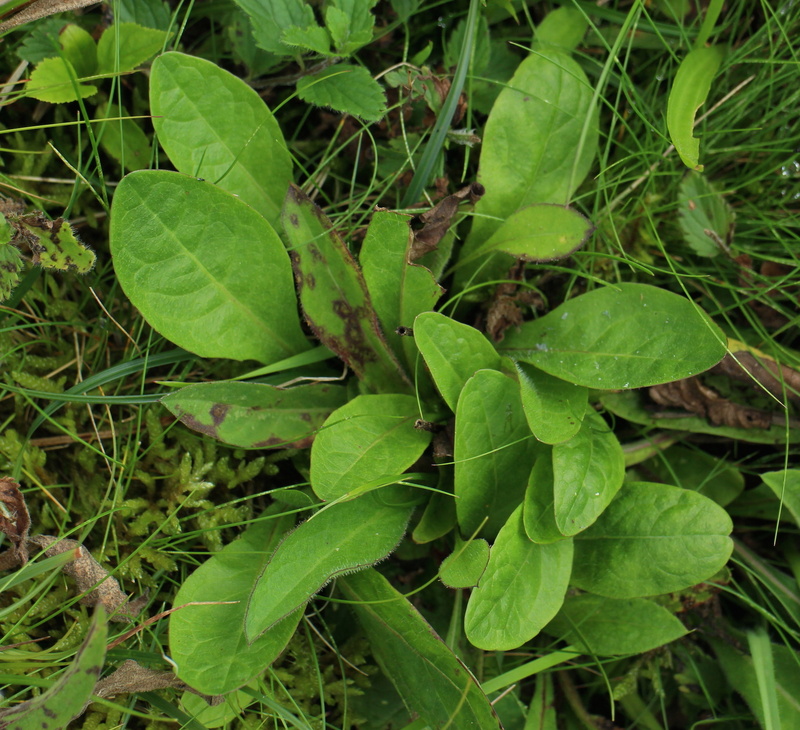 Let’s say from the start that these are different and distinct plants which should not be confounded: they are in different genera, after all! 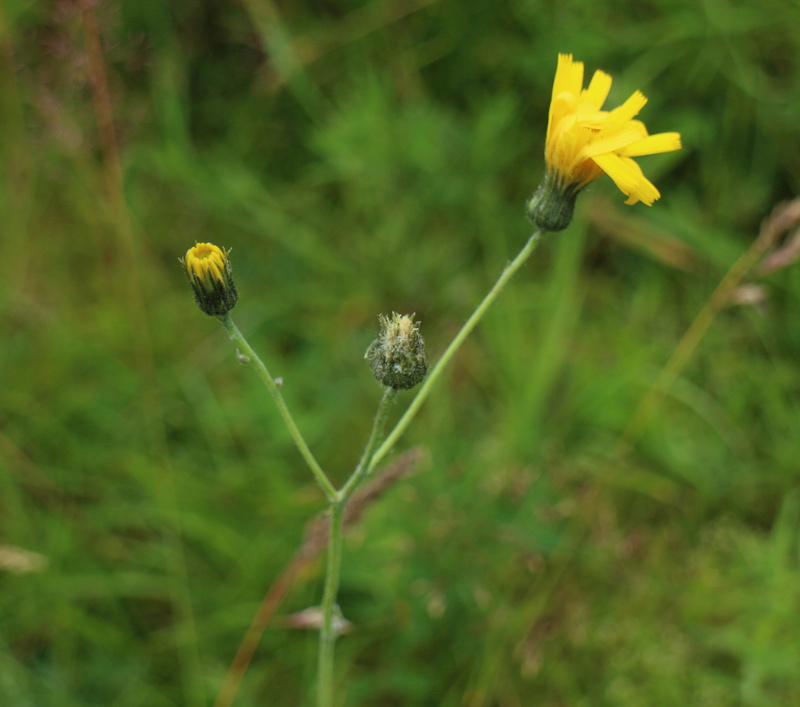 Crepis mollis is far from being merely ‘like a small hawkweed’: more often than not, a plant ‘like a small hawkweed’ is just that! 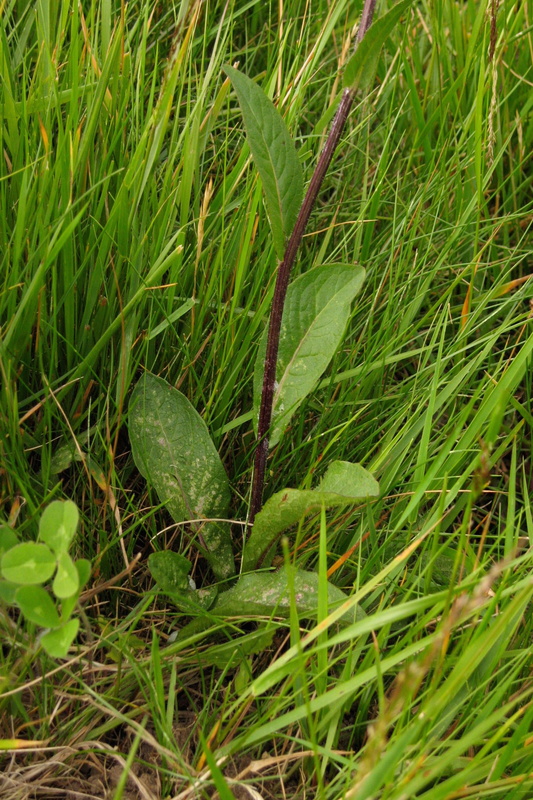 Hieracium vulgatum, in its variety vulgatum, seems to be the form which occurs often with Crepis mollis, and in ‘likely habitats’ for that, and which most tempts the unwary. 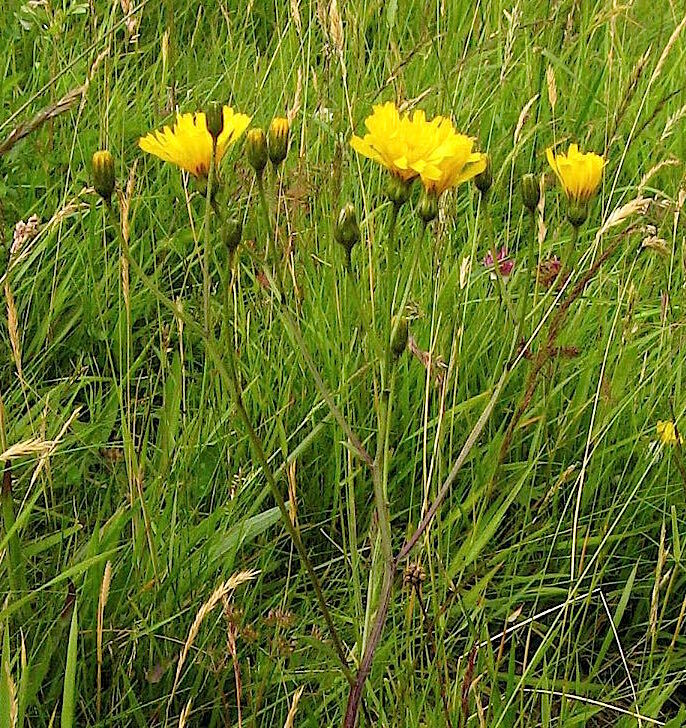 Stems: Crepis mollis has quite strongly ridged stems, which may become more conspicuous later in the season as the ridges become lined with deep purple. 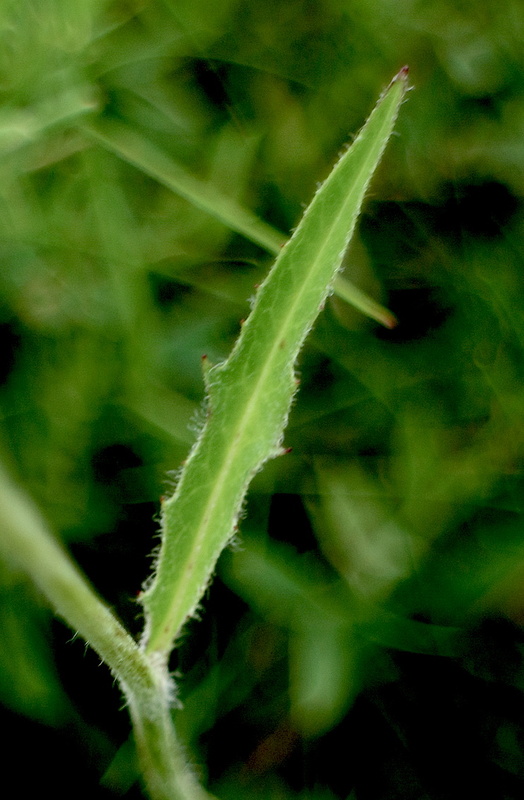 These ridges ascend to the capitula. 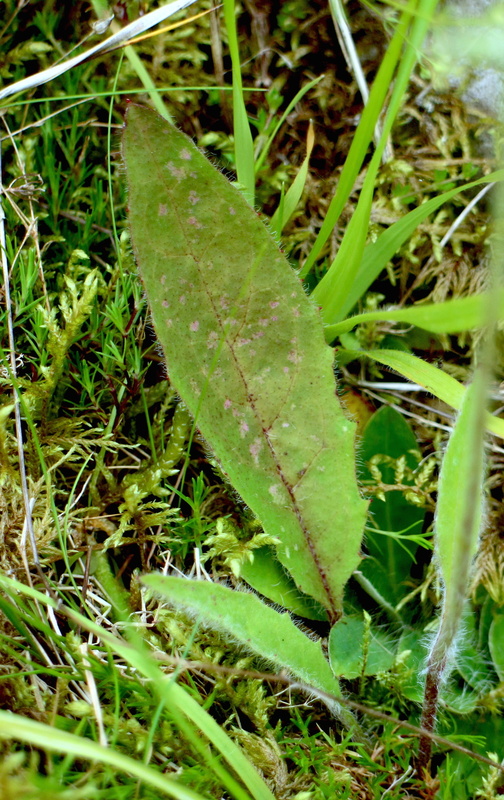 (In open sites, the whole stem can tan to purple-brown.) 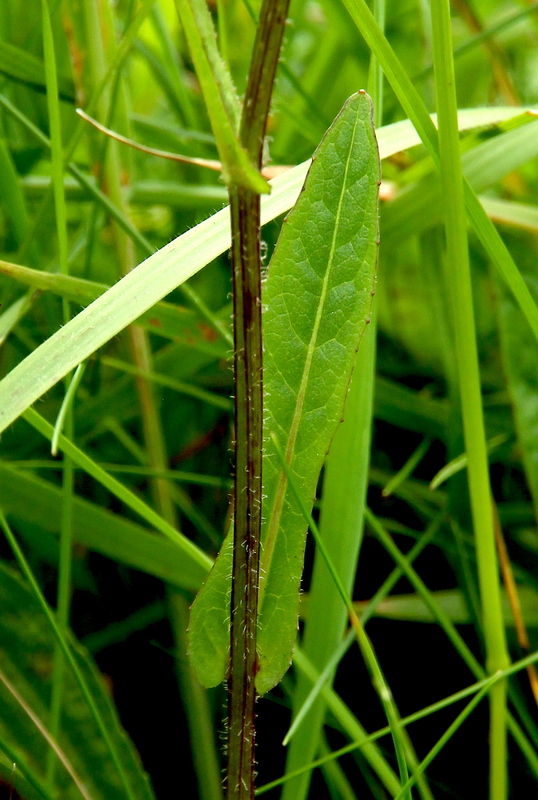 Stems in Hieracium are not conspicuously ridged. 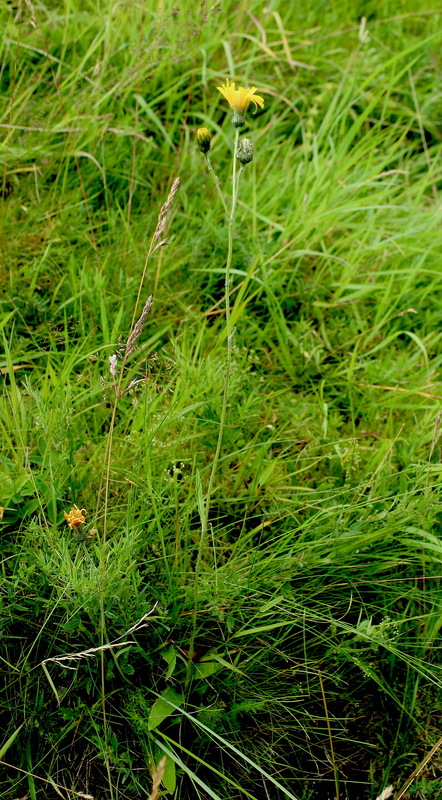 Crepis mollis has both +/– glabrous, and hairy (hence ‘mollis’), varieties, and many colonies have clear examples of both types. 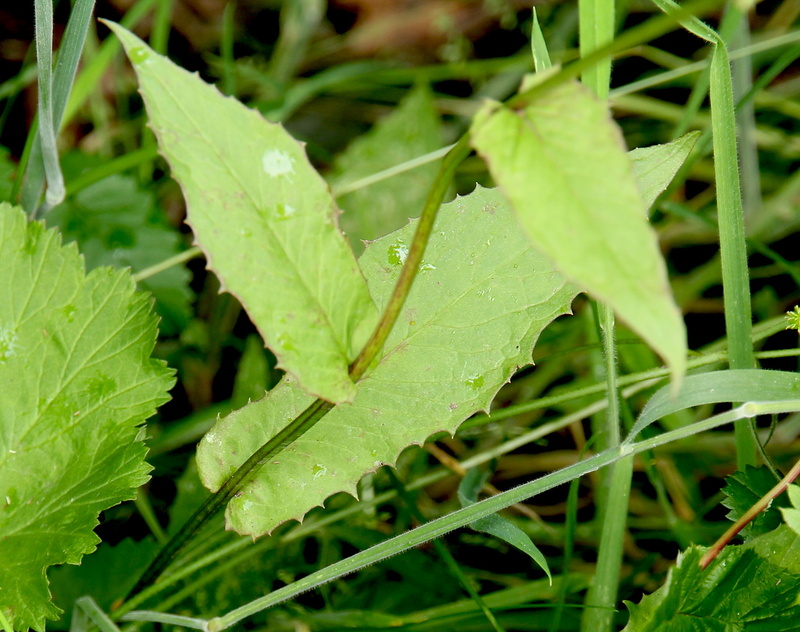 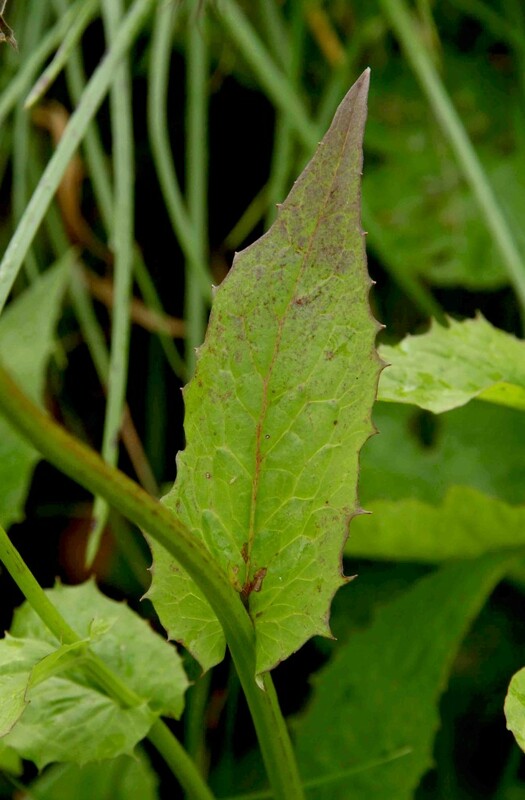 The glabrous variety has stems with scattered hairs and papillae, and leaves with scattered longish hairs. 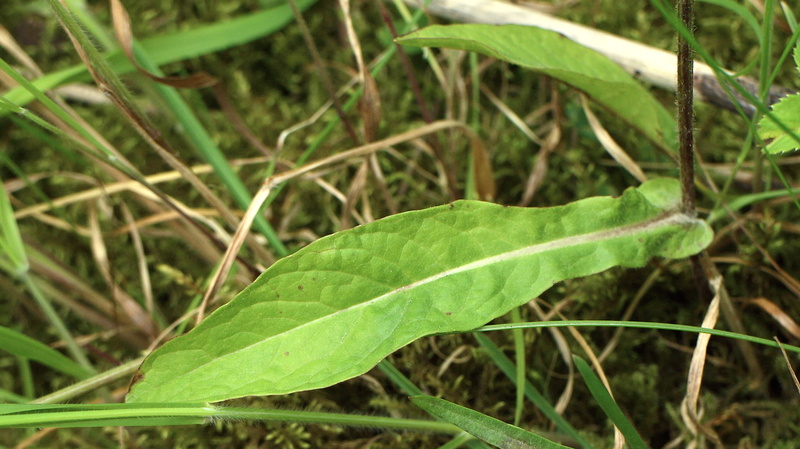 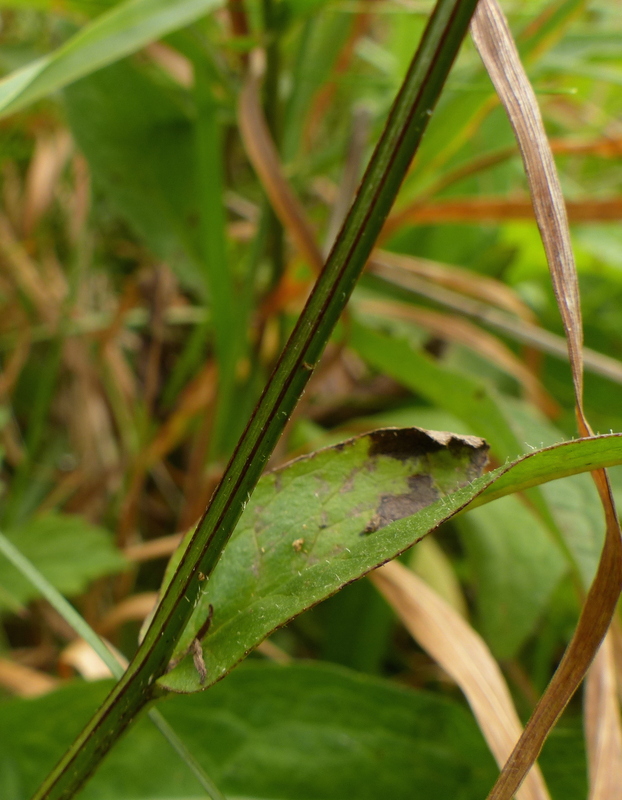 By contrast, Hieracium stems are generally more hairy, with both longer and shorter white hairs, often producing a greyish look to the Hieracium stem, as visible in the photos, and contributing to a paler appearance overall. 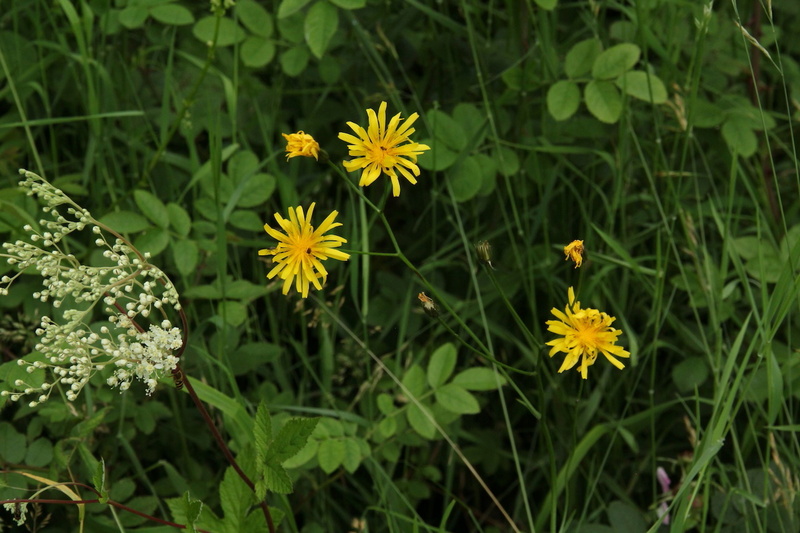 Inflorescence: Crepis mollis begins into flower considerably earlier than the hawkweeds, and about at the same time as Marsh Hawk’s-beard, Crepis paludosa. 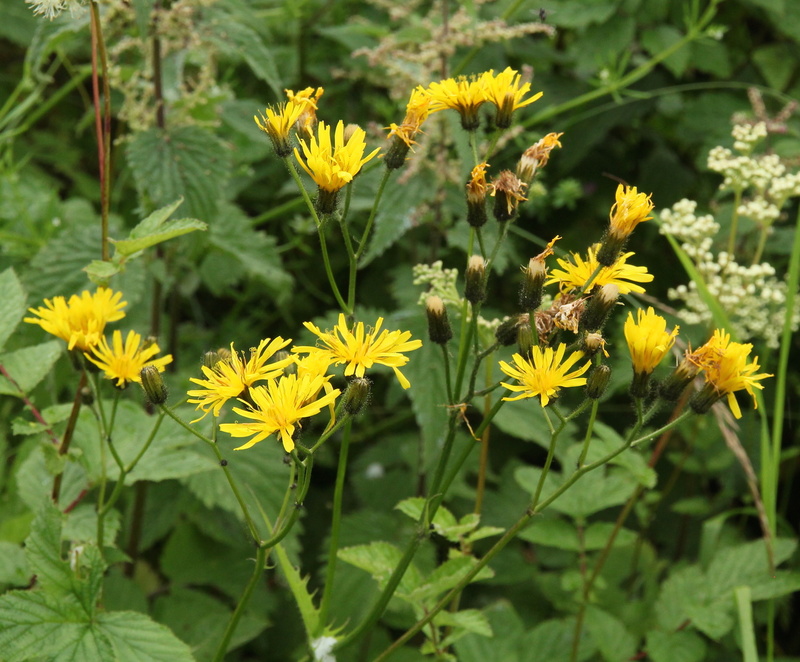 Its season is considerably shorter than hawkweeds, so that although one may find open flowers of Crepis mollis as late as mid-August, by this time the vast majority of Crepis plants will be in ripe fruit and many dropping seeds. 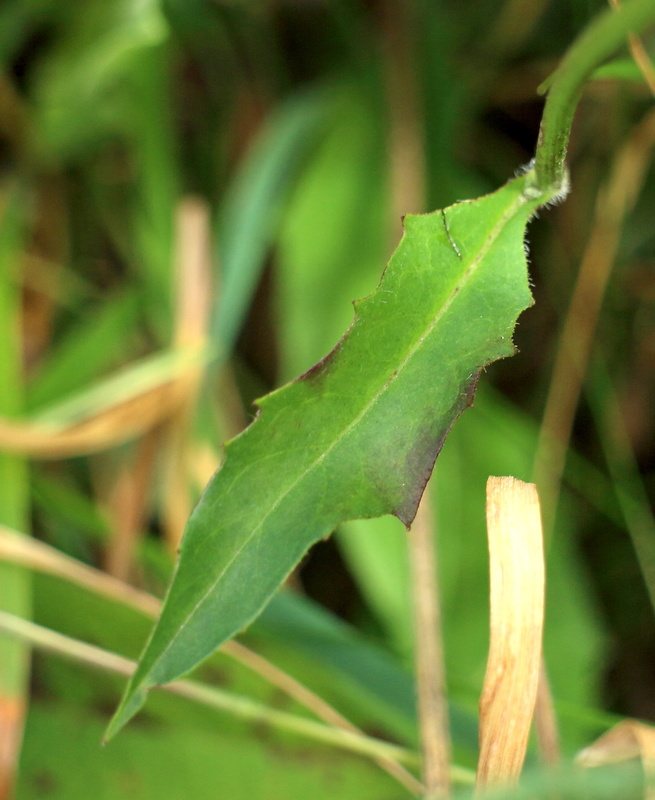 Any remaining flowers appear to be the result of replacement axillary shoots after damage to the primary stems. 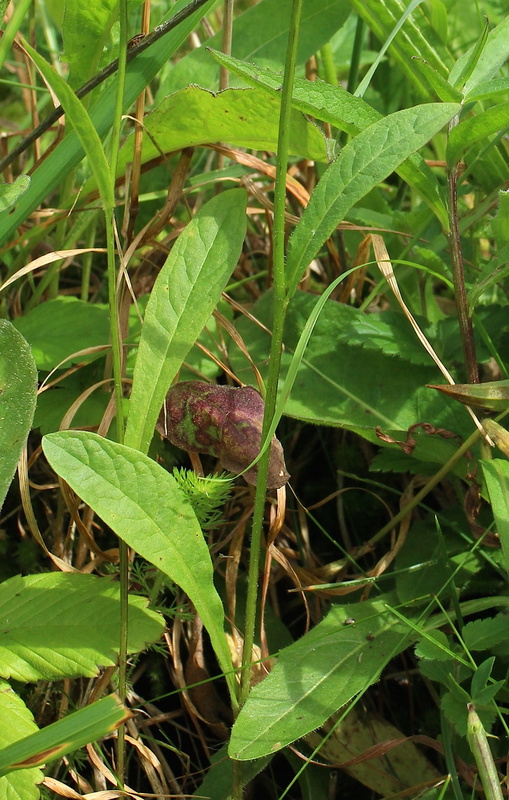 Seeds: Finally, in any ripe fruiting material, a glance at the seeds will dispel any doubts. 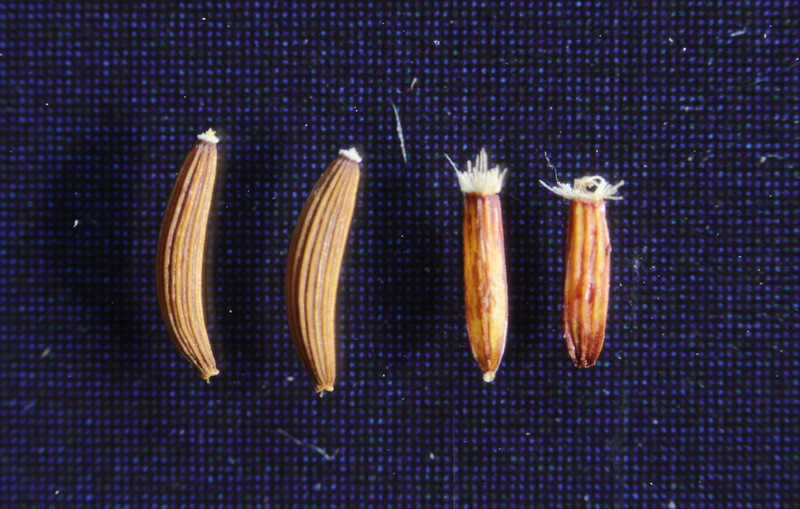 These plants are in different genera, and the seeds have constant and distinct differences. 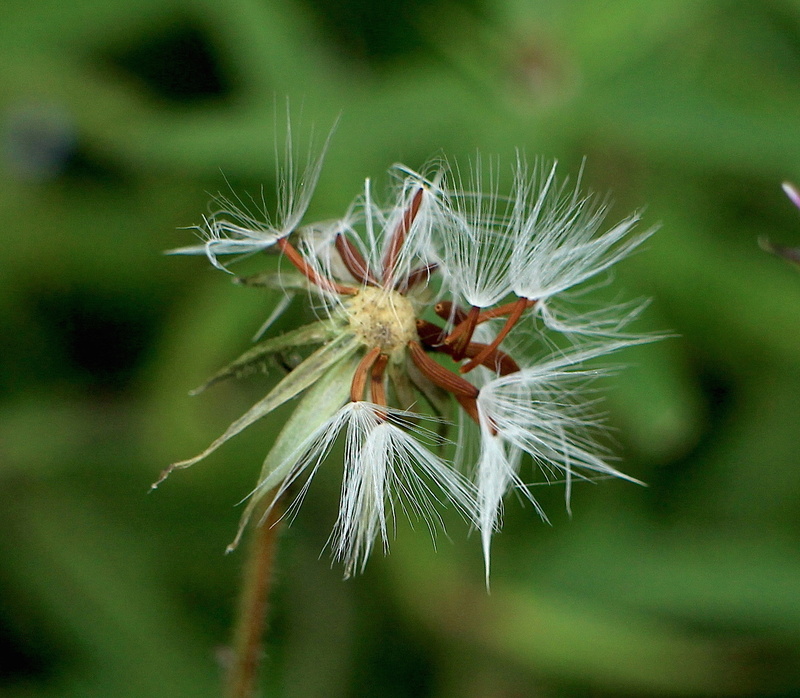 Inflorescence: showing buffish pappus colour. 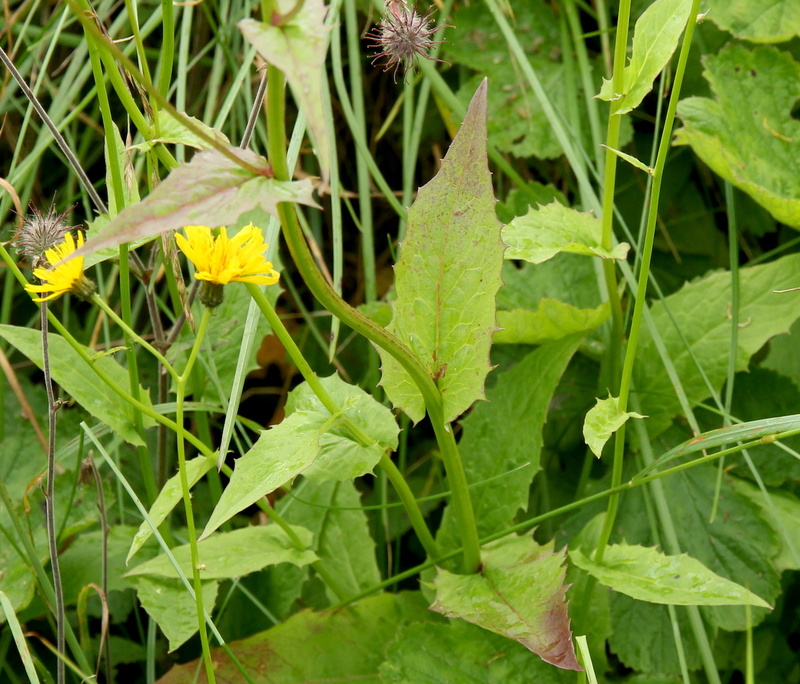 In its weaker or more etiolated forms, this can be quite similar to Crepis mollis, with semi-amplexicaul leaves, and similarly dark heads and golden-yellow flowers. 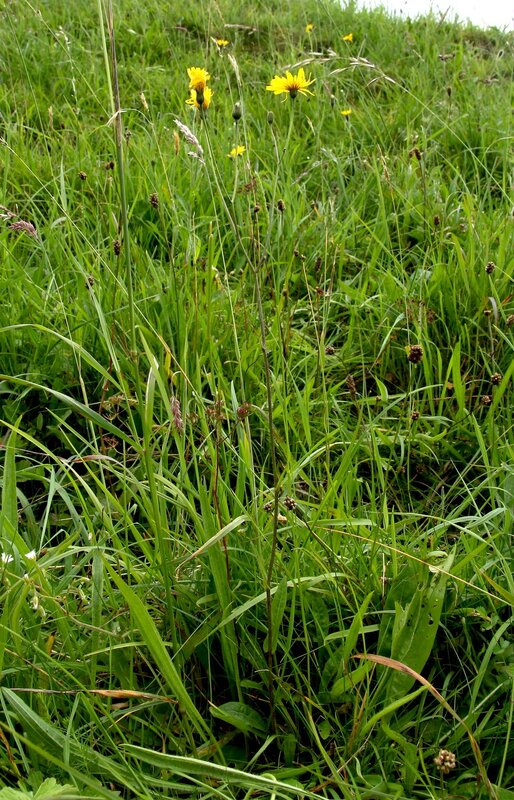 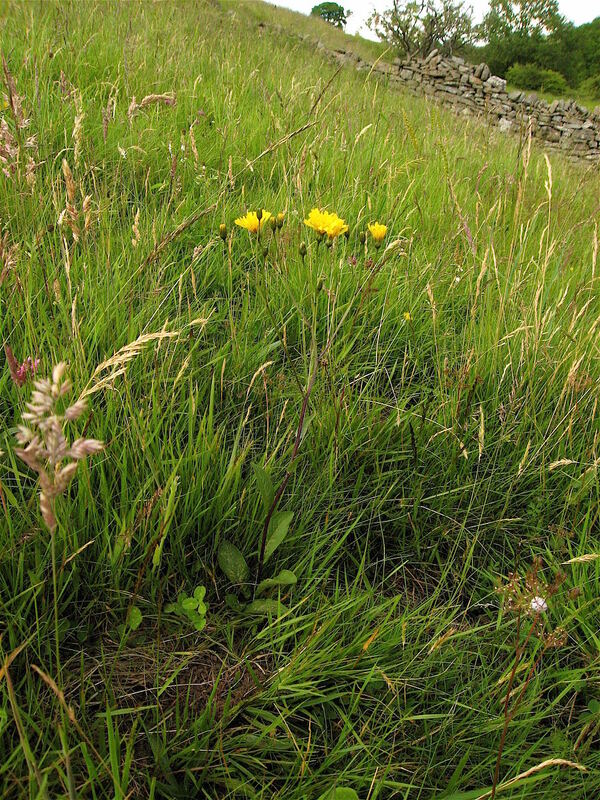 The two Crepis species often grow together – intermixed at times – although Crepis paludosa also grows in much wetter and also more shaded places, whilst Crepis mollis often grows out on open hillsides on well-drained soils. 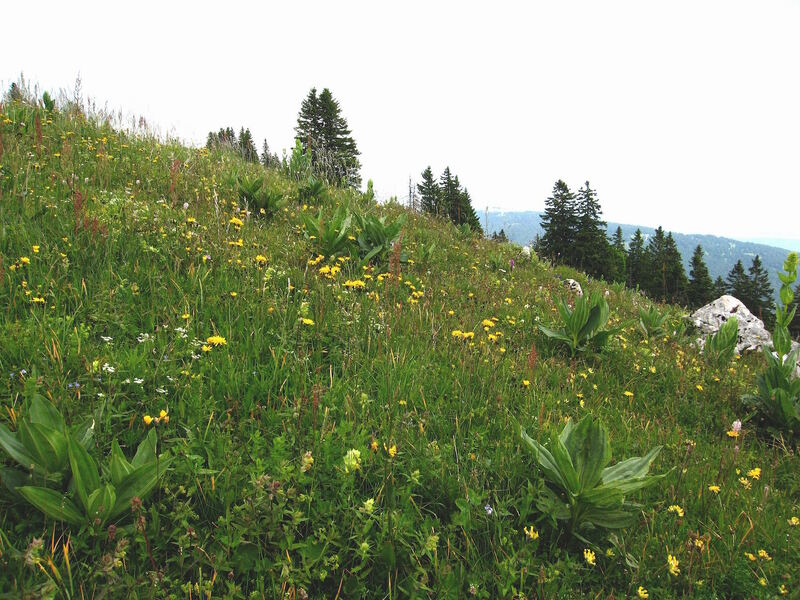 With experience, a close view should enable certain separation of either of the Crepis species, from each other and from Hieracium, with several key differences to establish the identification. 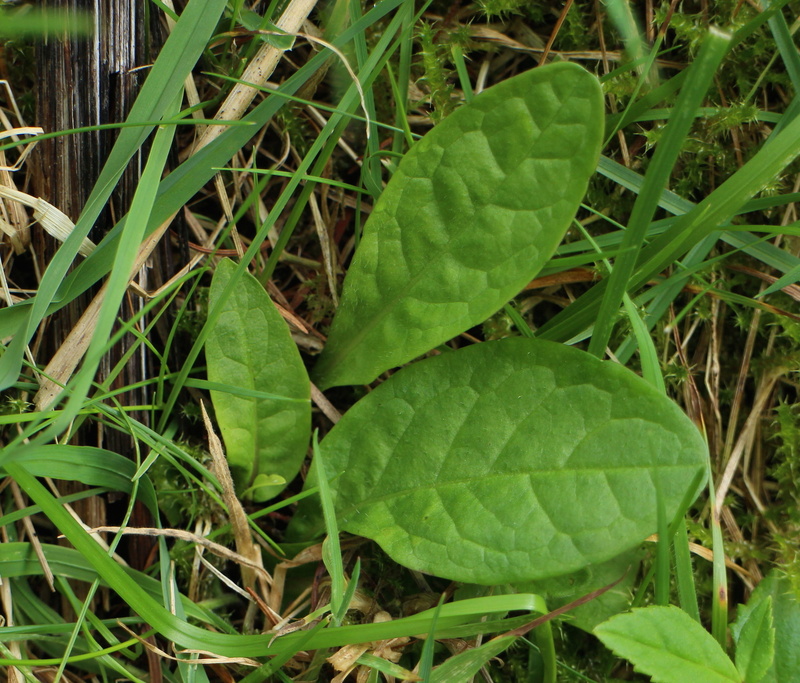 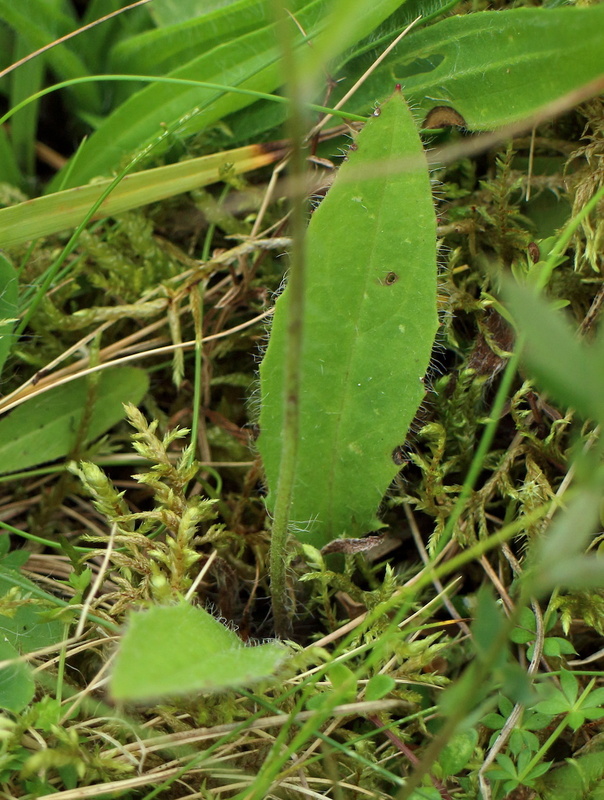 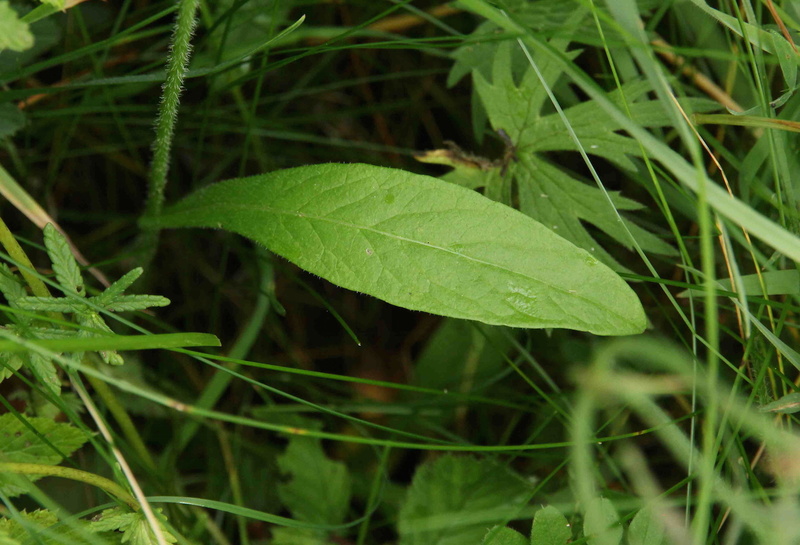 Thanks to Brian Burrow for identification of a hawkweed specimen from Garrigill – typical of the forms which tend to accompany Crepis mollis. 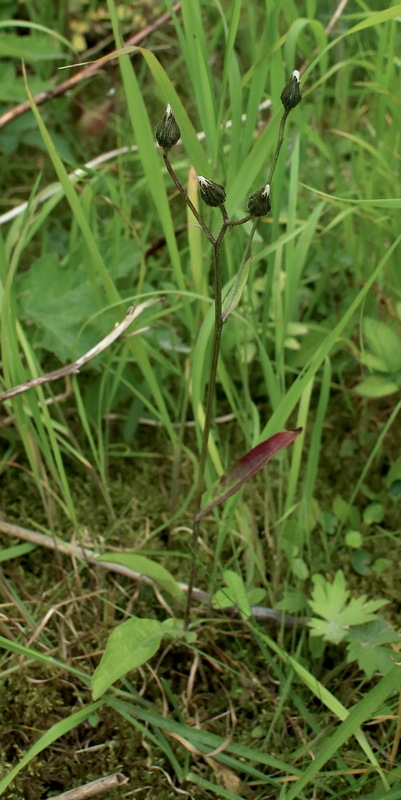 Phill Brown contributed photos and many useful comments on our sorties to look for these plants. 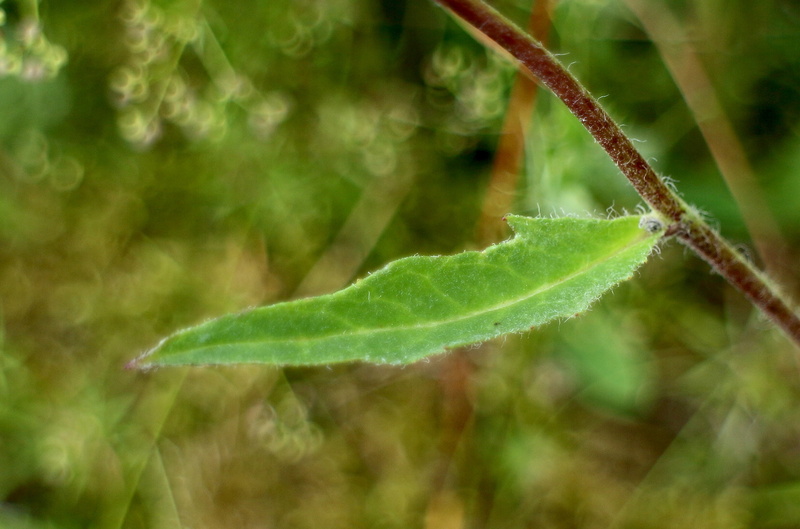 Very helpful text plus excellent photos. 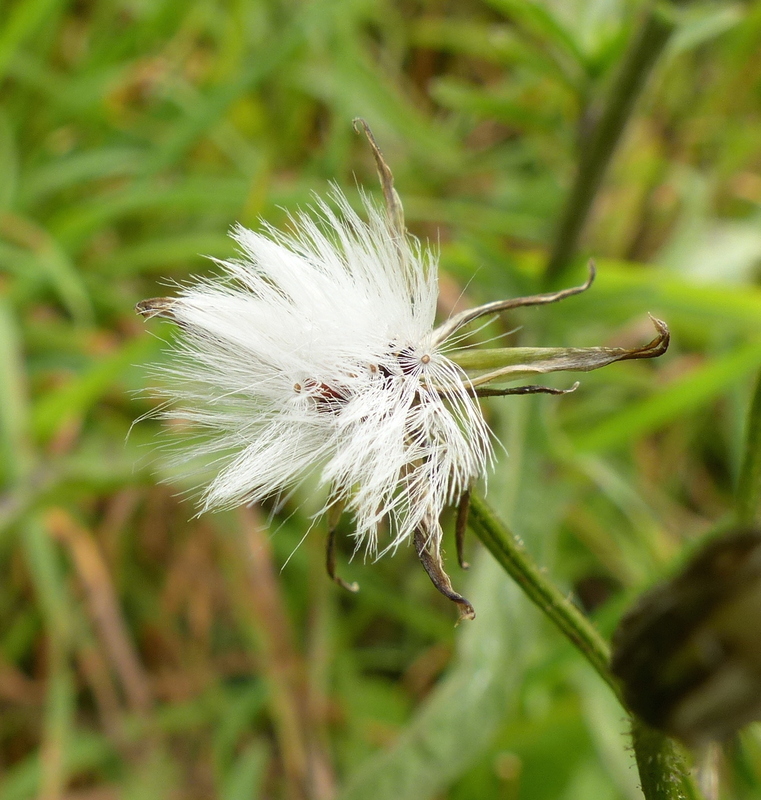 Used as I am looking at my own photos of crepis paludosa taken in northern Portugal last week. 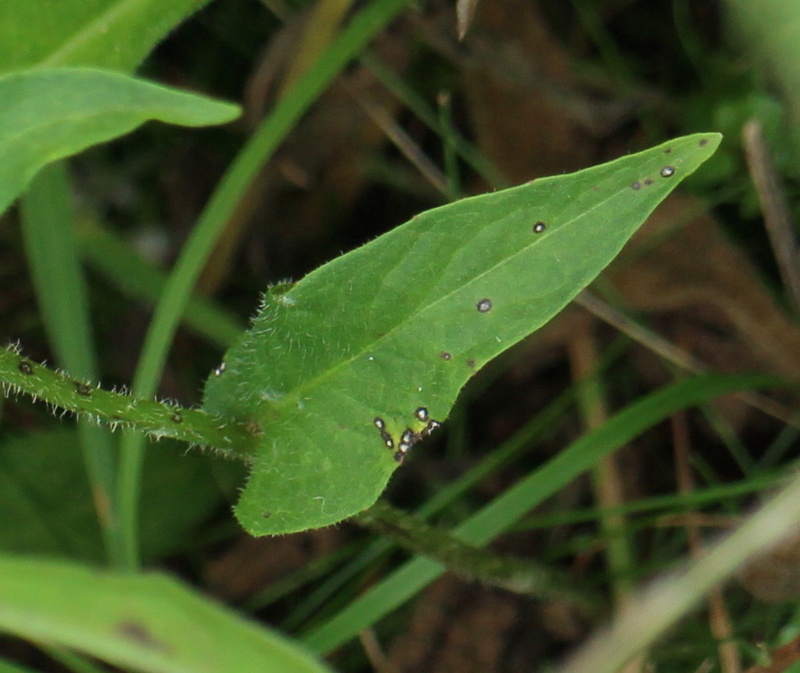 LIving in Cambridgeshire not a species I had seen before.